Also known as laughter lines, crow’s feet are found around the outer edge of the eye area. There are usually one of the first signs of ageing and can vary from fine to moderate lines, in both depth and length. What causes crow’s feet (laughter lines)? Crow’s feet are caused by the depletion of collagen and elastin fibres. Exposure to UV is a major cause. Always use year-round sun protection as UV rays can cause free radical damage, speeding up the process of ageing. Avoid squinting in the sunshine by wearing sunglasses with inadequate UV protection. 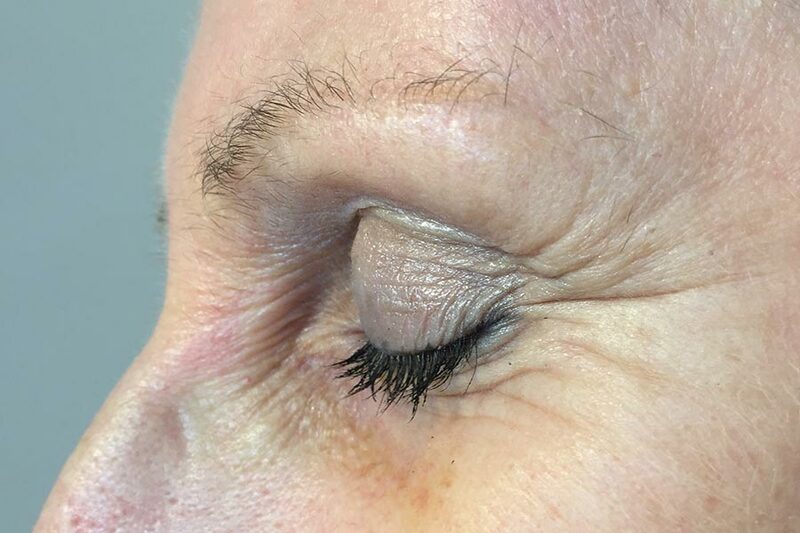 Crow’s feet are often referred to as character lines reflecting your facial expressions; over time this creasing of the skin results in a loss of elasticity and decreases the natural hyaluronic acid which is responsible for moisture and plumpness. Eden Skin Clinic offers a choice of non-invasive treatments for laughter lines and crow’s feet. Why not book a consultation? We will examine your skin, answer your questions and recommend the most suitable smoothing treatment for you. Treatments are available at both our Kensington and Wimbledon skin clinics.